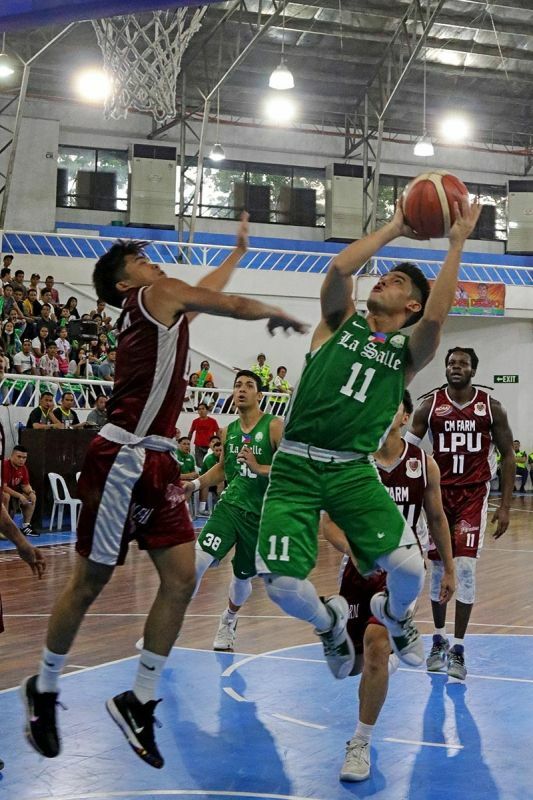 THE Lyceum of the Philippines University (LPU) Pirates aimed to bounce back when it battles De La Salle University (DLSU) Green Archers for the championship trophy of the 82nd Araw ng Dabaw college invitational basketball tournament late Thursday evening at the Almendras Gym Davao City Recreation Center. NCAA runner-up LPU, supported by CM Farm, pushed DLSU down to the dying minutes but still lost in their elimination round encounter, 95-98, Wednesday evening. Thus, DLSU led the league with a clean 3-0 win-loss slate while LPU toted 2-1. Green Archers Jollo Go and Errol Bonggay sank 14 points each as Justin Baltazar added 10. Pirates import Mike Harry Nzeusseu scored game-high 25 and teammate Reymar Caduyac chipped in 15. Pirates assistant coach Gilbert Malabanan said they will have to adjust in defense when they collide with the Green Archers again for the title. “Andaming transition baskets nila pati outside shooting so dapat iwork out namin ang defense. Hopefully we can bounce back, nagpahinga lang ang players today for tonight’s game,” he told SunStar Davao in a phone interview Thursday. He added that the Pirates will play the same intensity with their “heart and pride” in the finals. DLSU associate head coach Gian Nazario, meanwhile, said they’re happy with the way they played LPU as it also satisfied the Dabawenyos who watched the game. “I think hopefully ma match yung laro kagabi. Nakita namin ang crowd stayed until the final buzzer. In the finals, we will play the same with how we approach every game, to just do the right things, do what’s good for the team and get everyone else involved,” Nazario said, adding that they can’t be complacent with LPU, which he cited as a tough team. University of the East (UE) Red Warriors was playing for third against University of Cebu (UC) Webmasters as of Thursday. The UE defeated UC, 81-77, in the elimination game Wednesday.